As a researcher investigating the sepulchral depths of Gothic haunts in the Far East, throughout my usual blog posts I will attempt to provide brief accounts of my daily experiences over two months in Japan (mid-May to mid-July 2013), where I will be engaged in a study of the goth subculture’s localization in the Tokyo and Kansai areas. 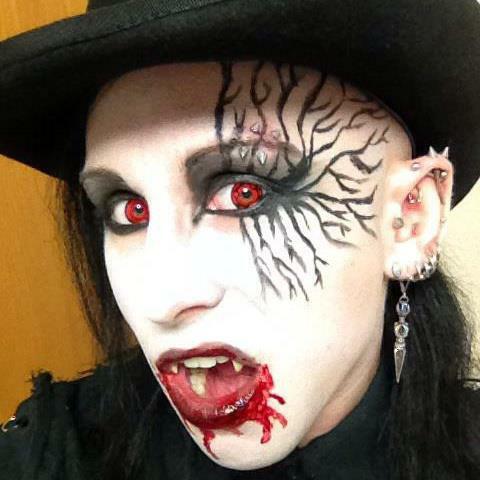 I am interested in the ways that individuals in Japan find meaning and a source of cultural identity in the goth subculture, particularly in the aspects of body modification and Western occultism. Both aspects are not specifically goth per se, but are nonetheless deeply connected to much of the underground club culture in Japan of which goth is a part. I also seek to elucidate the particular subcultural ideology and rhetoric of authenticity to be found in Japan’s goth scene and the ways they contribute to formation of identity for participants in the sociocultural circumstances particular to that country. My approach as a cultural anthropologist will be to compile an ethnographic account of the subcultural through participant observation and semi-structured, in-depth interviews with 30-40 key and specialized informants. And if you managed to get through all that, in plain terms this means that I am going to Japan to make party in the spooky places I know and love best, and talk to the kind of darkly passionate people I most enjoy having conversations with. I’m going to record and write a lot of stuff, and then I’m going to write a boring academic paper about it. Most photos, etc. will be going up on Facebook, and so I intend to use my blog as a place for more “academic,” or at least thoughtful, reflections on my experiences, however brief they may be. I hope it will be of interest to anyone who may happen to read it, and I also expect it to be a useful aspect of my research and, as such, any and all comments or criticisms are much appreciated!